How can I receive VR services? If you are a person with a disability: If you are interested in finding employment with help from VR, contact your nearest VR office and schedule an appointment. You will meet with a VR counselor to discuss your employment interests, concerns, and goals. Within 60 days of your application your counselor will determine if you are eligible for services. Note that you will be presumed to be eligible for VR services if you receive Supplemental Security Income (SSI) and/or Social Security Disability Insurance (SSDI) benefits. 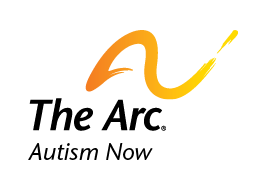 If you are a sibling or a parent: If you are a sibling, parent, friend, or guardian of a person with autism, you may contact your nearest VR office and schedule an appointment with a VR counselor. Bring as much information as you can about the person you are helping and possibly ask the person you are helping to jointhe meeting with the counselor. Find your nearest VR office or look in the employment or disability listings in the government section (blue section) of the phone book. Remember, a strong factor in obtaining services is your motivation to find a job. To complete the eligibility review, your counselor will ask you for information and may ask you for permission to get information about you from other sources. Make sure that you coordinate with your local Intellectual and Developmental Disabilities (IDD) agency if you also receive support from it. VR often gives precedence to funding applicants who have ensured long-term supports through an IDD agency. VR services are at no cost for you. Depending on your financial resources, however, you may be asked to pay a contribution for some services. Here is a summary with additional information about the Vocational Rehabilitation Program (PDF).